What to watch on TV next week with critic Andrew Mercado. Oh the irony, that just as free to air TV shuts up shop to have their annual summer vacation, the streaming giant that has been smashing them all year releases the much anticipated, second season of one of their most acclaimed series ever. As mesmerising and exquisitely made as last year, the narrative is still jumping around in time but with history this well known, it’s never an issue. 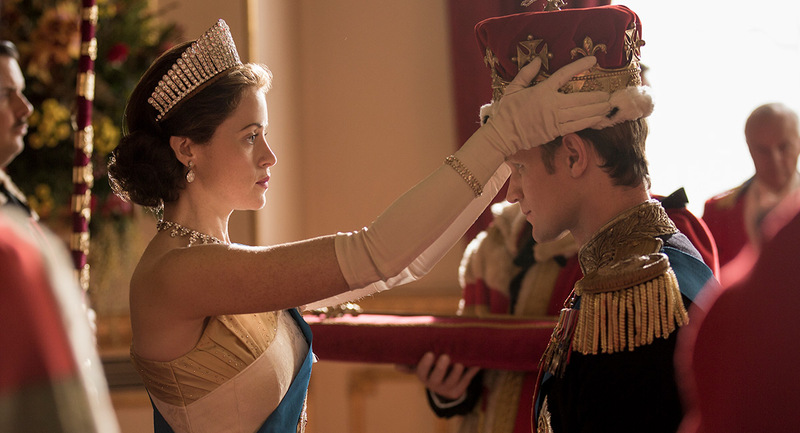 Holding it all together is Claire Foy, who could not be better in a performance that humanises The Queen, while Matt Smith is cranking up the crankiness as Prince Phillip. Brilliant. Season four gets off to a great start with the ladies going to the Logies and the introduction of another over-the-top lawyer called … wait for it …. Venus Behbahani-Clark (another newbie, former editor Sally Bloomfield arrives next week). Meanwhile, the show’s other OTT lawyer, Gina Liano, is mourning the death of her father, but she recovers quickly (was there ever any doubt?) to get back to her favourite activities – feuding and throwing shade. Production is slicker than ever, making Melbourne look like a million bucks, and compared to some of those Sydney participants, this cast is a class act in comparison. But not too classy, with the increasingly hilarious Gamble Breaux more potty-mouthed than ever and stealing every scene she appears in. This is the last ever summer cliffhanger because as of next year the soap will screen for all year round for those still-obsessed Brits. 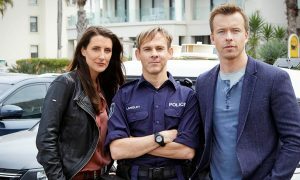 So that means a (re-)wedding (Toadie and Sonya), an arrest for murder (but obviously not the real culprit) and a runaway pram (that ends in disaster). Given all of those plot spoilers have been leaked to the press, I can’t help wondering if the producers have something else up their sleeve, but the episode available for media preview shows no more. Except of course for a mystery figure watching events from a faraway car. Could it be Fake Dee? Real Dee? Doesn’t really matter so long as Madeleine West comes back – that’s all I want for Christmas. One of the best (surprise) hits for ABC this year was Craig Reucassel’s two-part series about waste and recycling. Now he’s back to revisit some of the issues he raised back in May. As always, Reucassel relies on his Chaser cheekiness to challenge politicians and companies, but he’s also great with the kids too, who are proving to be enthusiastic supporters of his initiatives. When it comes to local movies, Lion is probably, and deservedly, going to win the lion’s share (get it?) of this year’s awards. And when it comes to television, Top Of The Lake: China Girl is probably, but undeservedly, going to win most of what it’s nominated for, with voters clearly prepared to suspend disbelief about how ridiculous the plot was. Attendees and presenters this year are a who’s who of the industry, but sadly all will have to navigate the dreaded red carpet. Last year’s pre-show was so bad, the hosts were openly mocked by the talent but undeterred, both Edwina Batholomew and Jonathon Moran are back for more. Guess commercial agreements are more important than watchable content.